This weekend sees the Ultra Trail World Tour kick off its first race of the series and presence in Asia as part of the Vibram Hong Kong 100. When it was announced last year, the Ultra Trail World Tour concept came with mixed reviews and comments from both commentators and readers’ comments alike across the Interwebs. There seemed to be a lack of clear direction at the launch as to how the concept would actually work and what it would ultimately be. Now that we break into 2014 and the first race in the series, we can start to see the benefits that the series will bring to some of the races signed up as part of the World Tour. There is certainly a good focus on Asia and indeed the races based down here in Australia and New Zealand will certainly benefit. We will see more global elite runners traveling to ‘our neck of the woods’ so to speak. Simple marketing suggests that more elites and ‘known’ athletes = increased participation rates from locals wanting to pit their talents against the big guns, which in turn will help locals to raise their game and boost standards – this is a good thing. The flipside however is that some of the races contained within the series are how shall we say, pretty damn hard to get into for the average Joe… I know this, I’ll be into my 4th year on the Western States waiting list next year. I also spent two years waiting to run the marathon des sables (MDS). That’s a long time to wait to run a race and complete a series, if that is indeed your goal. However I accept that is part of the game if you wish to play it. If you don’t like the game, you can play elsewhere. However we do believe that there needs to be the right balance between creating a decent competition for the elite runners to make it viable and reputable, versus accessibility for the people who ultimately pay for this to happen through race entry fees – The Average Joe. How that will play out in the coming years is something that will become apparent as the competition matures. Focusing on the positive, what we now see is a plethora of talented international runners featuring in the region’s highest profile races and none moreso than the HK100. The race is also supporting a number of visually impaired and underprivileged runners. Through financial donations by 2014 Vibram Hong Kong 100 participants and the organisers, 25 blind and visually impaired runners of Blind Sports Hong Kong had the opportunity to participate in the 9km, half marathon and full marathon of the Fubon Taipei Marathon in December 2013. It’s great to see a race give back to the community. So who’s in the running? Here’s our check-list of runners to keep an eye on. Dave Mackey is one of the biggest names on the list. He’s racked up a number of top ten placings throughout 2013 and is a consistent man on the podium – he has to feature here and is probably our pick for the win. From the UK, Jez Bragg is another elite who will be right up there and will push Dave all the way. 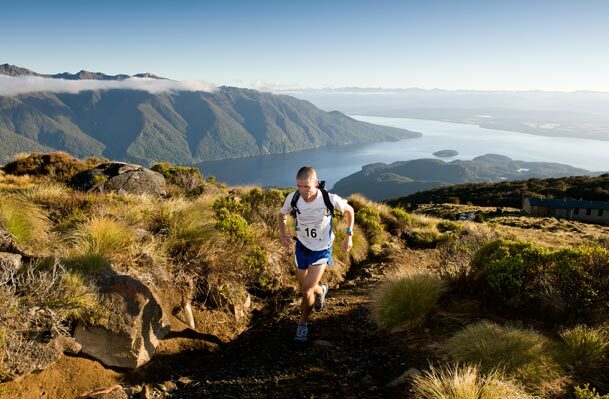 Jez recently set the record for the quickest run across the length of New Zealand, before pulling out a top ten (male) finish at UTMB last year. Hopefully he’s given his body a good rest to come out firing for this one. More from Europe, and its great to see the French runners well-represented. Antoine Guillon is back in Asia again following his 7th place finish at the Ultra Trail Mount Fuji (UTMF) in April last year. The man has serious form having ranked in the top five of the Grand Raid de la Réunion six times, as well as being a four-time top 10 UTMB finisher. Guillon is joined by fellow Frenchmen, Christophe Le Saux and Cyril Cointre. Vajin Armstrong leads the pick of runners from down south. A seriously talented runner, Vajin finished a recent second place at the infamous Kepler Challenge a few weeks back to record-breaker and Aussie Olympic marathon runner, Marty Dent – a good bet for a top five finish for sure, if not a podium. For the Aussies, Scott Hawker (Aussie-based Kiwi) and Vlad Ixel from Western Australia will also likely be in the mix along the way and it will be interesting to see how they stack up in this field. Vlad in particular has won North Face Singapore and the Borneo TMBT – go well boys. From Hong Kong, Stone Tsang, is the pick of local runners, but word on the vine is that he’s struggling a little with injury, so this might be more of a ‘fun run’ for Stone, but when have elites ever just run for fun 🙂 ? Other local runners likely to be up front are Jeremy Ritcey and previous course record holder William Davies. The Nepalese have a strong reputation for taking out these races hard. Ram Kumar Katri and Ram Bhandari who were part of the 2013 Hong Kong Oxfam Trailwalker winning team should be given due care and attention. Ram Kumar Katri was third place in the 2013 HK100 and the Nepalese runners know the trail well, and it seems, have got the testosterone in check too! Local lady Claire Price has to be right up there. 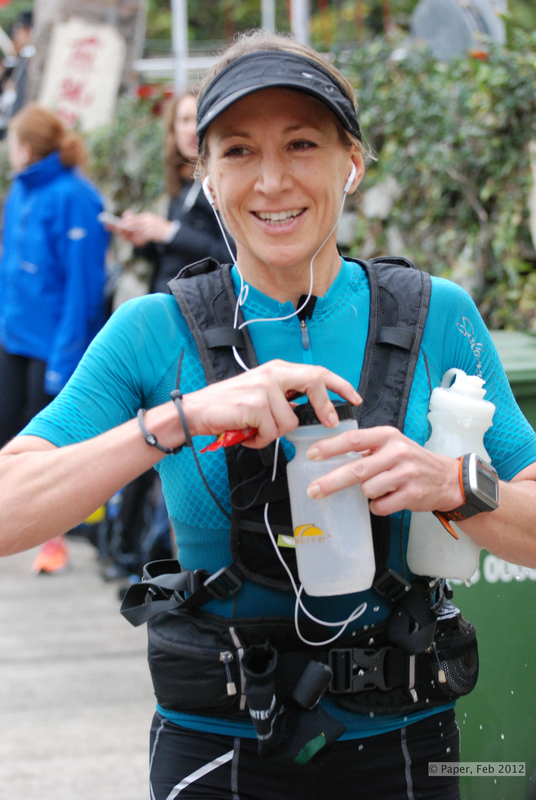 She took the course record from Lizzy Hawker in the 2013 in 11h58m, placed 2nd at the 2013 Traces des Ducs de Savoie (TdS) in August and continues to dominate the local HK race scene. Known for her downhill ability, she should be breathing down the necks of all front-runners come the second half of the race. Third place women at the 2013 HK100, Olya Korzh could be another good podium bet should others around her fall by the wayside. Francesca Canepa from Italy, 2013 Tour de Géants female winner, will be a hard female to beat. She’s impressive at all distances and terrain, having placed fourth in the 2013 UROC in 12:55 and the winner of the 2012 118km Lavaredo Ultra Trail. From Spain, Nerea Martinez Urrea is a strong late edition in the women’s race. Rumour has it that Lizzy Hawker is a potential starter, but we hear she’s on the injury comeback trail, so this will be a ‘watch and act’ as we say here in Australia. That’s our run-down, who’s favourite in your eyes? Vlad for the win. Proven in these conditions and in great training form.